Growing up neither of us had much opportunity to travel by train. The heyday of this mode of transportation had passed and most families navigated the countryside by automobile. 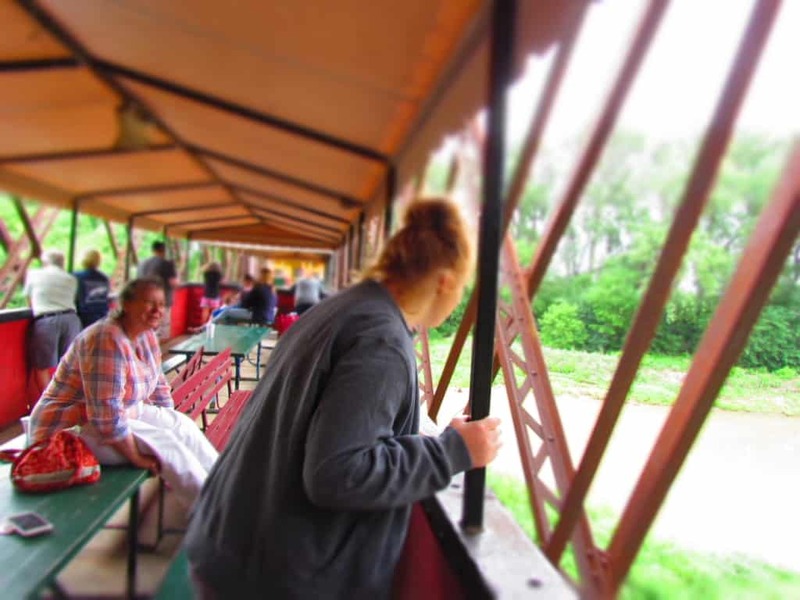 Recently, we had the chance to take a lunch train ride that piqued our interest in experiencing more of this form of travel. 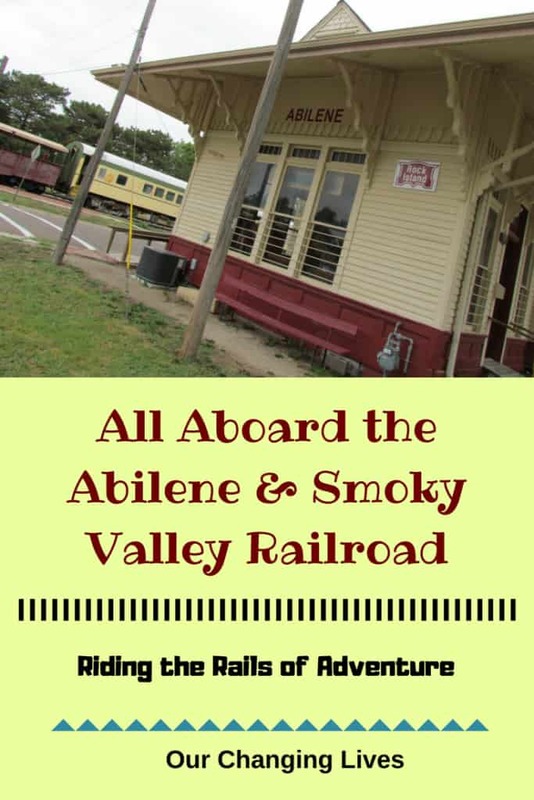 When we laid out the plans for our visit to Abilene, Kansas, a stop at the Abilene & Smoky Valley Railroad was high on our list. We arrived at the Rock Island Depot, which was built in 1887, with time for a tour of the facility before our journey. We want to thank Abilene & Smoky Valley Railroad and Visit Abilene for their hospitality. Rest assured all opinions are our own. Inside the depot, we met up with the manager, Mary Jane Oard. She was very welcoming, and gave us a quick overview of the depot. 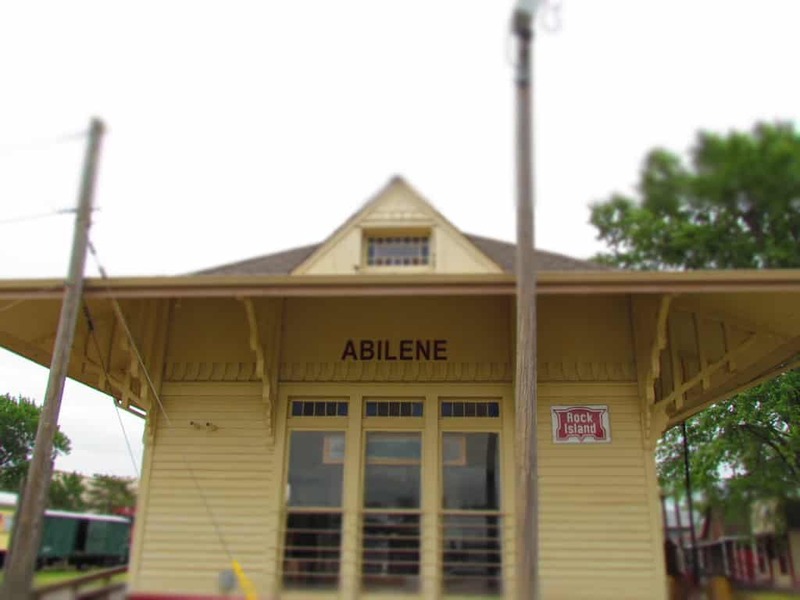 When you make your visit to the Abilene & Smoky Valley Railroad you will want to be sure to set some time aside to visit the museum located behind the ticketing area. We made our way to the museum section and found some interesting display. While we knew about brakemen and conductors, the role of railroad police was a little less familiar to us. I guess it is what they are referring to when they talk about the “bulls”. What an interesting job it must have been. 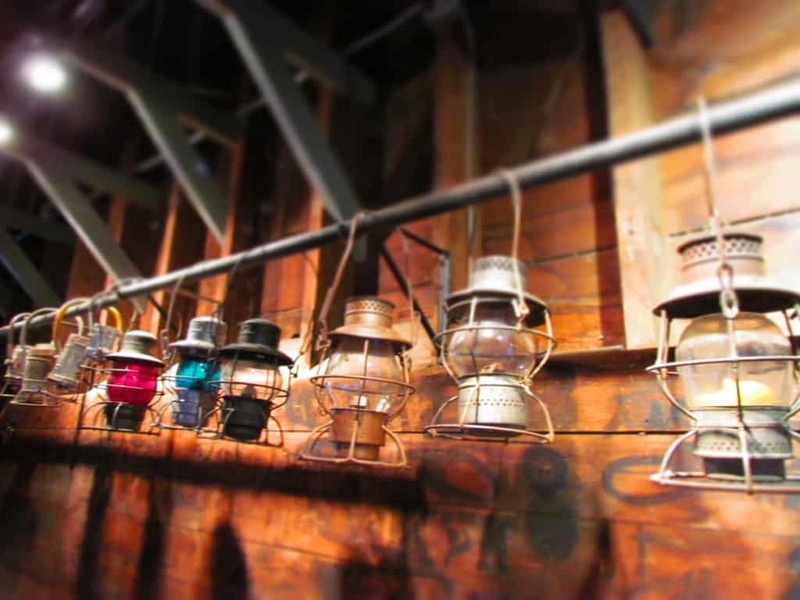 Some of the displays didn’t need any explanation, such as this collection of lamps. While each color had a different purpose, we just enjoyed the pattern that they presented lined up in a row. We noticed the various pieces of graffiti and artwork that appeared on the depot walls. Mary Jane explained that it was likely done by railroad workers who were passing time. They were certainly a creative bunch and a few left the dates of their masterpieces for posterity. Be sure to check them out, before your train ride. The announcement was made for our group to board the train for our ride. The entire trip would last about 1 hour and 45 minutes and would have a stop at the other end. Having little train riding experience, we were excited to get this ride under way. They offer a choice of inside seating, but the weather was more conducive for some outdoor atmosphere. Besides, we wanted to have an unobstructed view of the landscape. While they do offer steam locomotive rides periodically, our trip was handled by a diesel engine that was a tad bit newer. We all loaded onto the train and found seats on the open sided car. One of the staff sat down beside us and filled us in on some of the history of the car we were riding in. Evidently, it was originally used for hauling steel and was converted for use by the Abilene & Smoky Valley Railroad. With everyone aboard, the train lurched forward on its way down the tracks. The trip took us five miles away to the nearby town of Enterprise, Kansas. Once we arrived at the other end, it was time to disembark and check out the mill. In the meantime, the engineer and conductor uncoupled the engine and switched it to the other end. I took this opportunity to watch them in action. It’s not too often we get a chance to see the intricacy of the hand signals used to communicate with each other. We even caught some of it on video. After witnessing this action, it was time to check out the Hoffman Grist Mill. While it wasn’t running that day, it is an active flour mill. The original mill (Not this building) began operations in 1869. These days they still produce flours that are for sale to the public. It amazes us to see this type of old school business surviving in this modern day world. We only wish they would have been operating during our visit. Perhaps on our next visit. On the way back, we had a better idea of what to expect. The landscape is primarily farmland, which makes sense considering where we are. There is a section that passes through a wooded area and over the Smoky Hill River. On the way out, we were caught by surprise while talking. This time I was ready to catch some shots of the serene beauty, as well as the pile of debris that had gathered at the base of the train trestle from previous rains. As we continued back to the station, we paid closer attention to some of the others on the train. It was clear that everyone enjoyed the rocking of the cars as we cruised down the tracks. Periodically, the engine would slow down for a crossing and we would hear the familiar horn signaling to any nearby vehicles. It is easy to understand why people were so infatuated with train travel for so long. It certainly makes for an enjoyable way to get from point A to Point B. 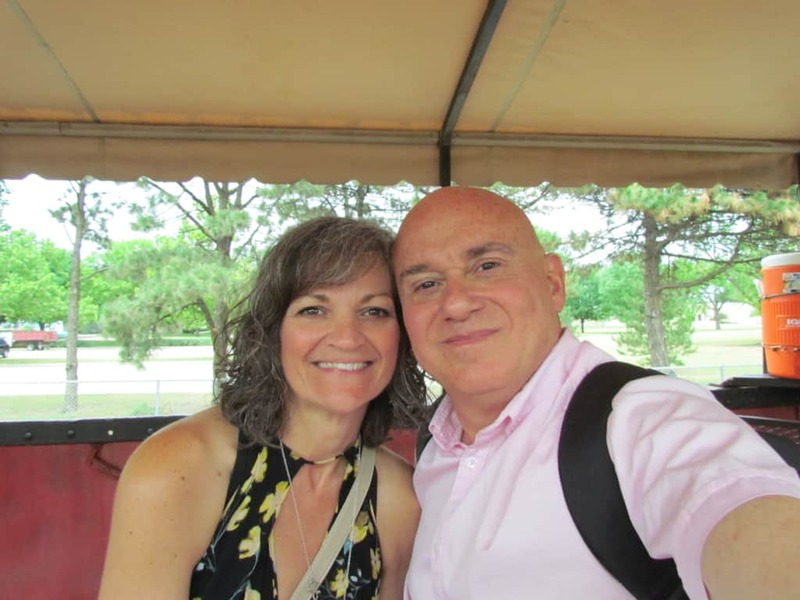 This made our second real train ride, (Our first was this one in Eureka Springs) and we are quickly becoming fans. Have you ever traveled by train? We would love to hear about a true train journey! Join the Fun and Give Us a Share! We live in Chapman, but have not done this train ride, yet, hopefully soon we can. I have been on a train before, took Amtrak from Topeka down to Sante Fe, NM. I went on a trip with Girl Scouts. This was over 30 plus years ago. It was a lot of fun. We left I think around midnight or later and I don’t even remember how long of a train ride it was, but it was very exciting and a lot of memories were made! That sounds like it would have been a fun trip. We keep talking about taking the Amtrak to St. Louis and some day we just might actually do it.